Cemeteries are special places. In Christianity, Islam and Judaism the places where the dead are laid to rest are treated with the very greatest respect. Their role is to remind us of the fragility of human existence, of the fleeting nature of time and how human fate lies in the hands of the inscrutable judgements of the divine. Cemeteries also have a more direct function to fulfill in the immediate present. How often have the destructive forces of history destroyed everything in their path, leaving only these cemeteries as sole, silent witnesses to the existence of the societies and cultures that had been annihilated, the last-remaining solid proof that they had once existed and been part of a shared cultural life. 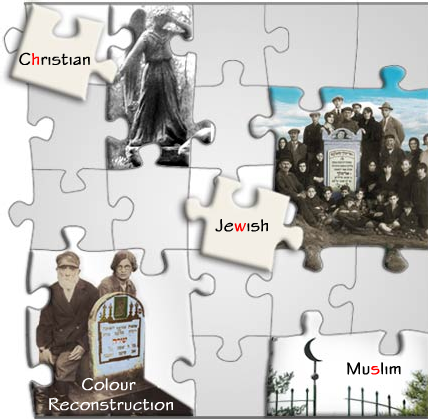 This applies most of all to Jews, but Protestants of German descent and - to a certain extent - Polish Tartars also find in these cemeteries the only surviving traces of their vanished communities. Cemeteries can also be places of great cultural value - real museums filled with works of art of a austere beauty. But above all they are fantastic archives - information banks packed with names and data. They are a real treasure trove for all those time-travellers who are seeking to reconnect to their roots, their faith and their cultural heritage. For this reason let us not forget these cemeteries! Let us photograph them and translate the inscriptions on the gravestones. If we do, then, perhaps, these wanderers will one day find their place in time and space.